Original YoWindow is the #1 weather program on CNET's download.com. 1. 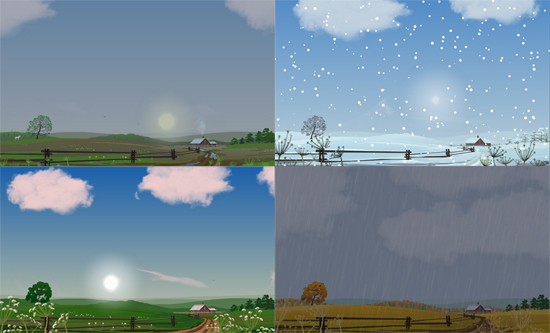 Picture reflecting actual weather - clouds, rain/snow, grass swaying with the wind, fog, thunderstorms. 2. True astronomical calculations - Sun and Moon, daylight. 4. Seasons change in sync with nature. 5. 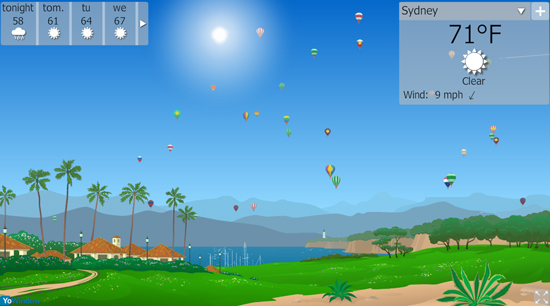 Animated landscapes - Village, Seaside, Airport, Oriental plus 1400+ picture based landscapes. 6. 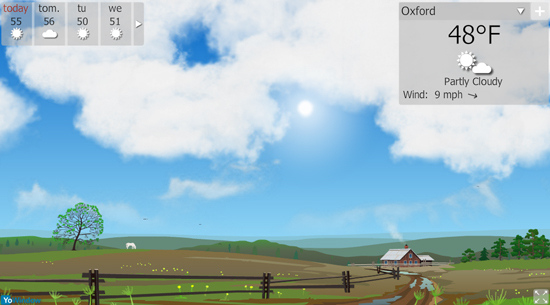 Full featured weather station - lots of information. We hope you will love watching the weather as we do.